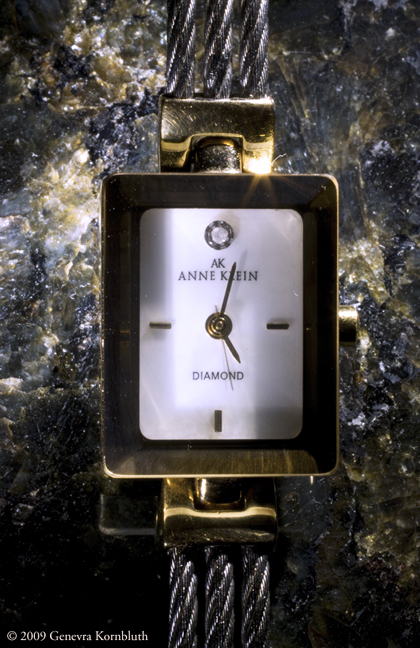 Anne Klein watch, twentieth century. The detail of the face and full view below document the coloristic effects and varied reflectivity of the twisted steel and gold-colored band, and the mother-of-pearl face with a small diamond. Private collection.